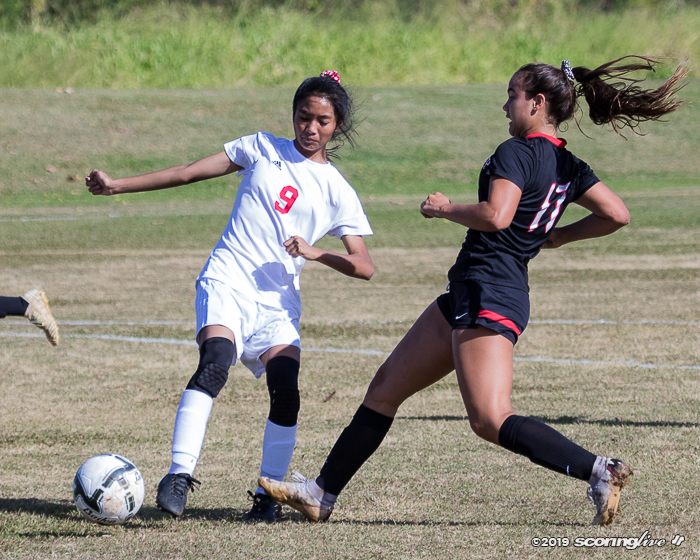 This one was over in a hurry. 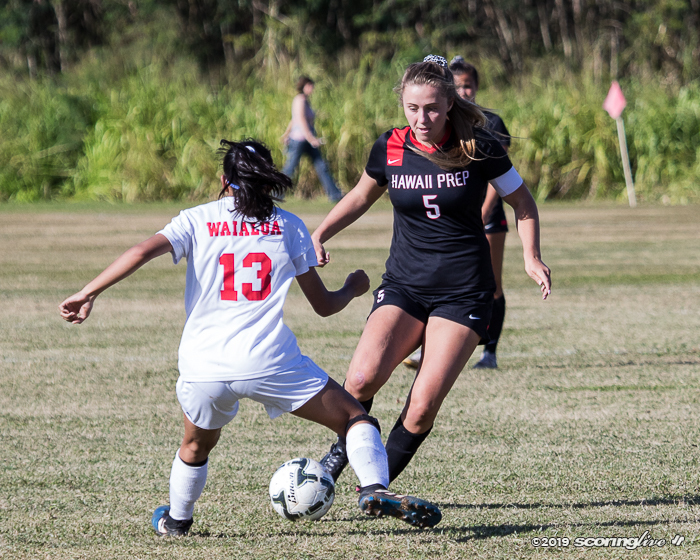 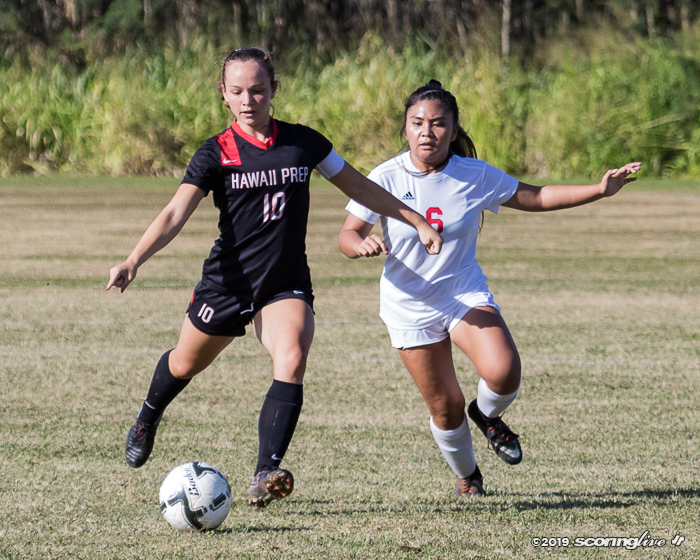 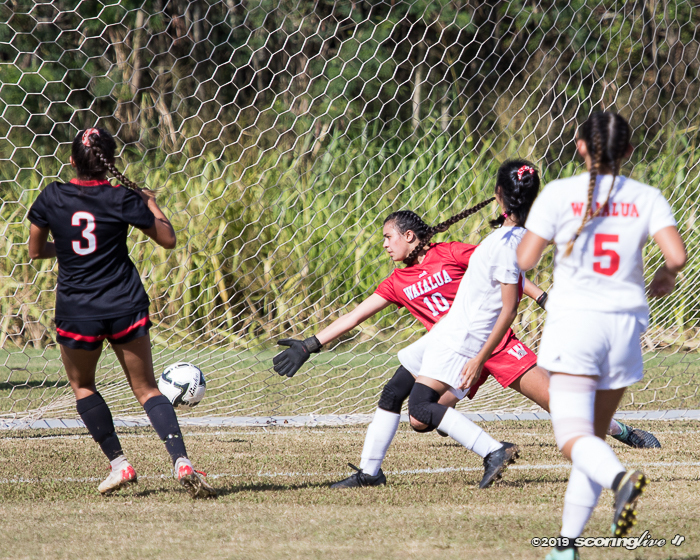 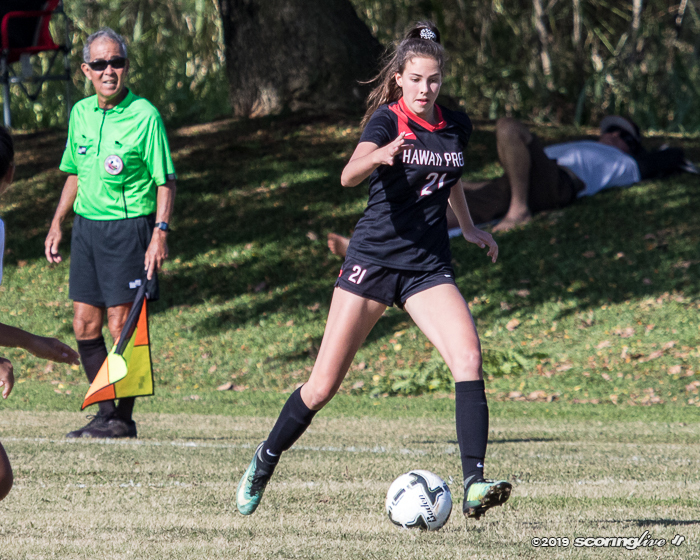 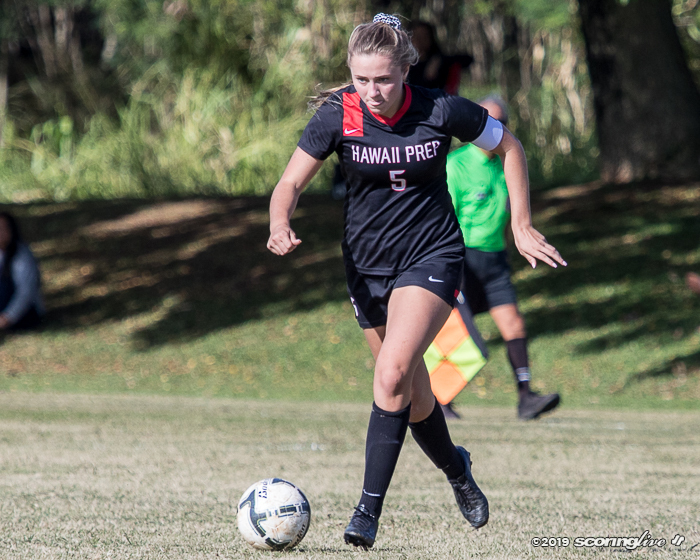 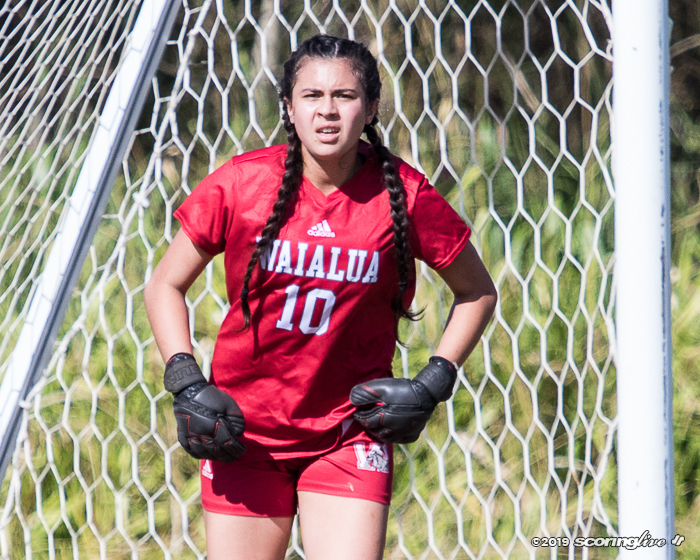 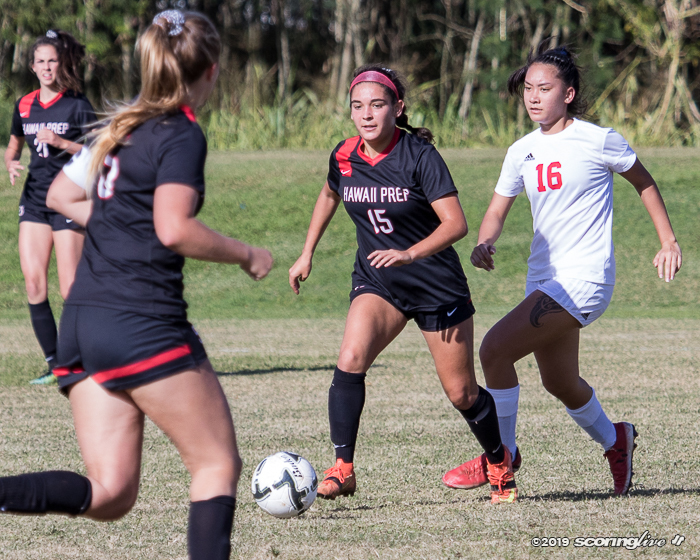 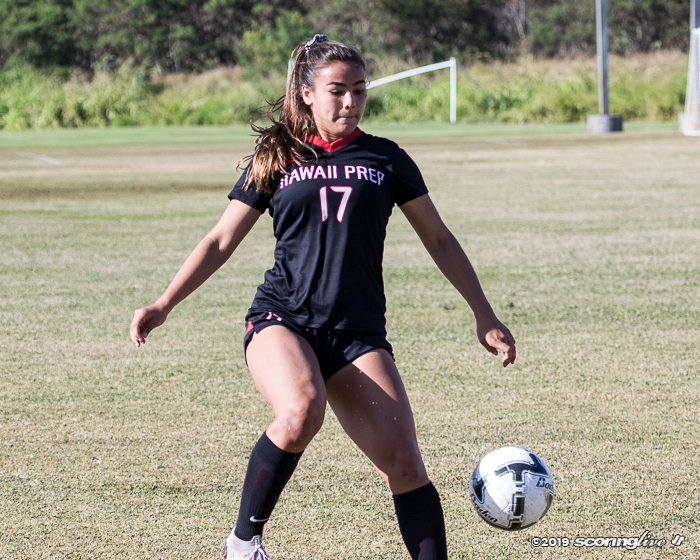 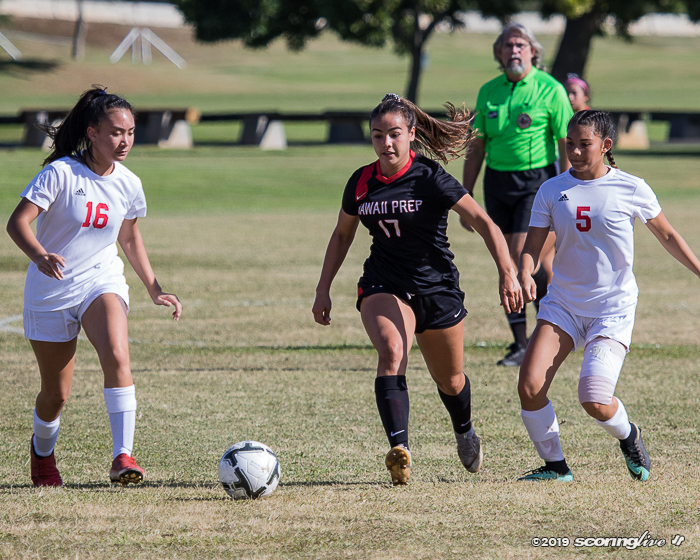 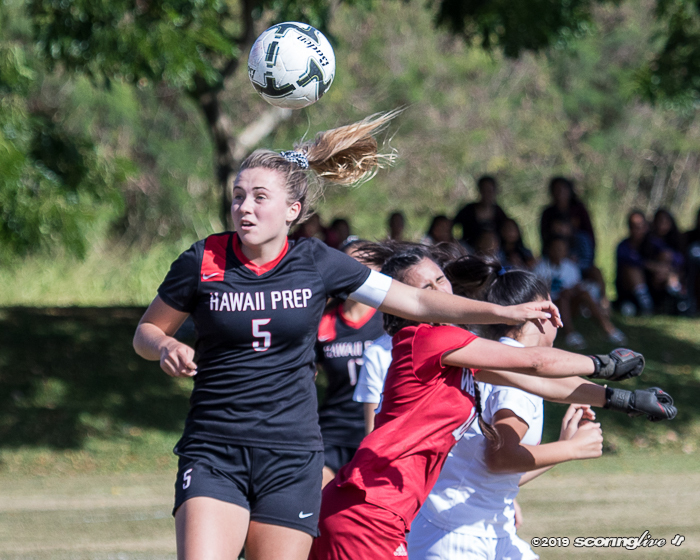 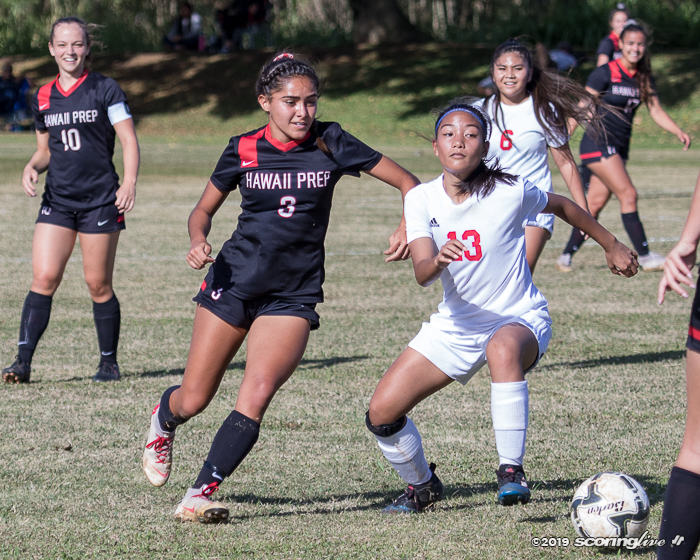 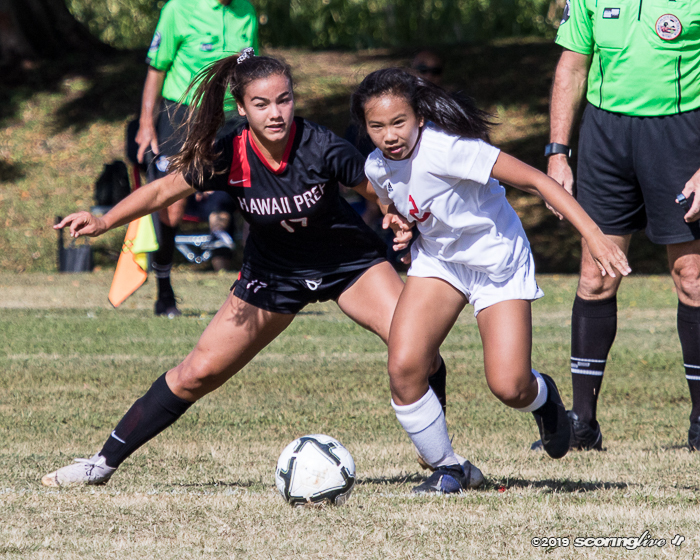 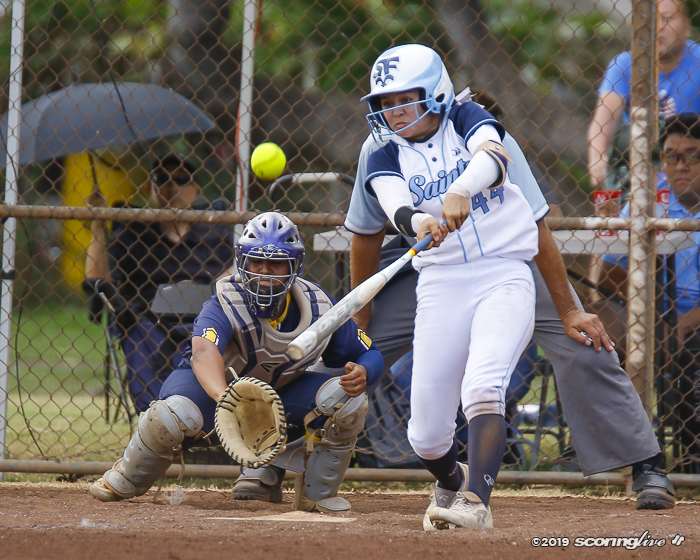 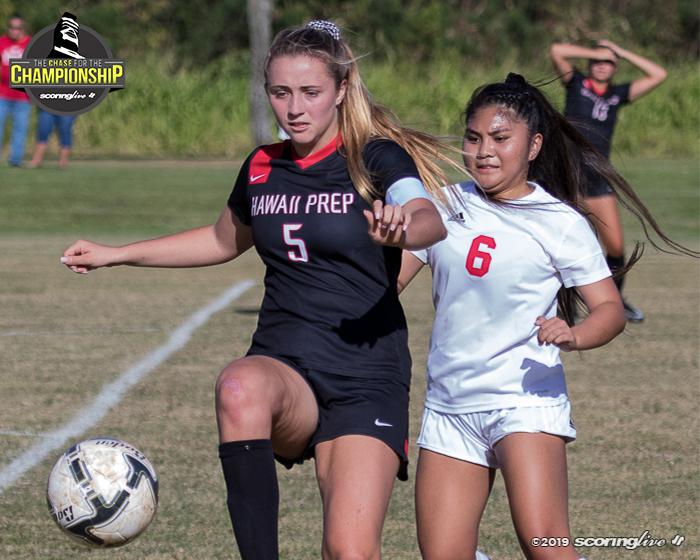 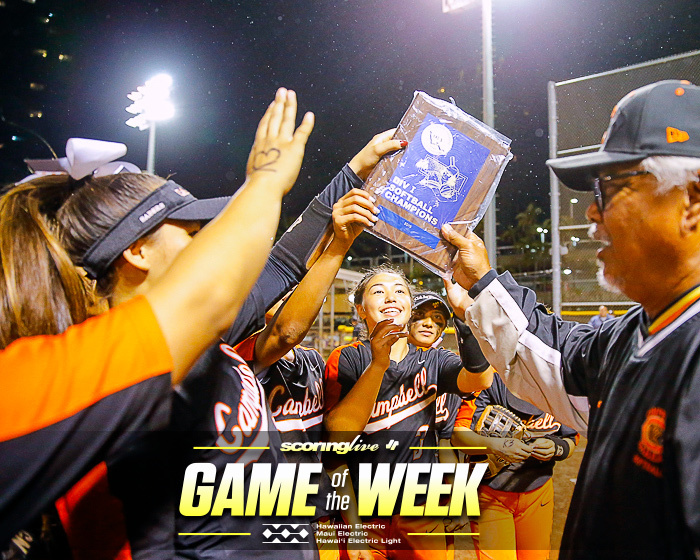 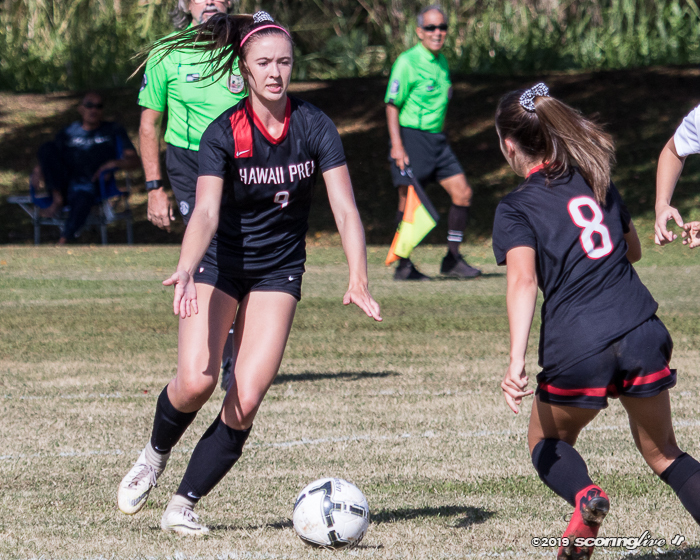 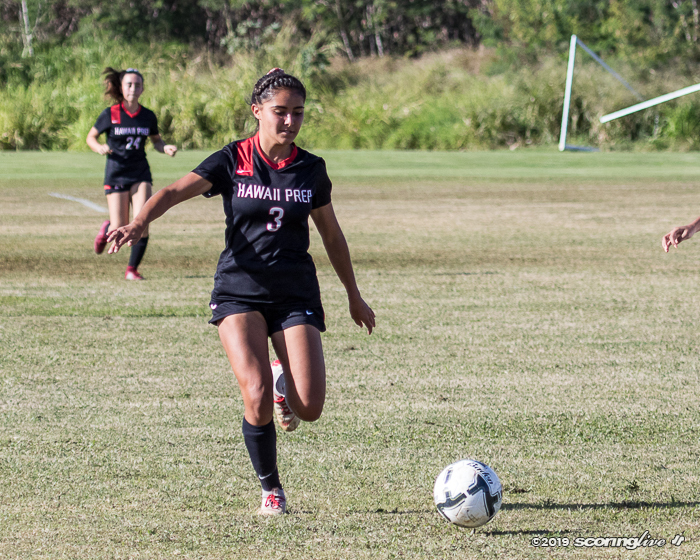 Five-time defending Division II champion Hawaii Prep opened up defense of its title with a 8-0 blowout win over Waialua Wednesday in the first round of the Queen's Medical Center/HHSAA D2 Girls Soccer Championships at Waipio Peninsula Soccer Complex. 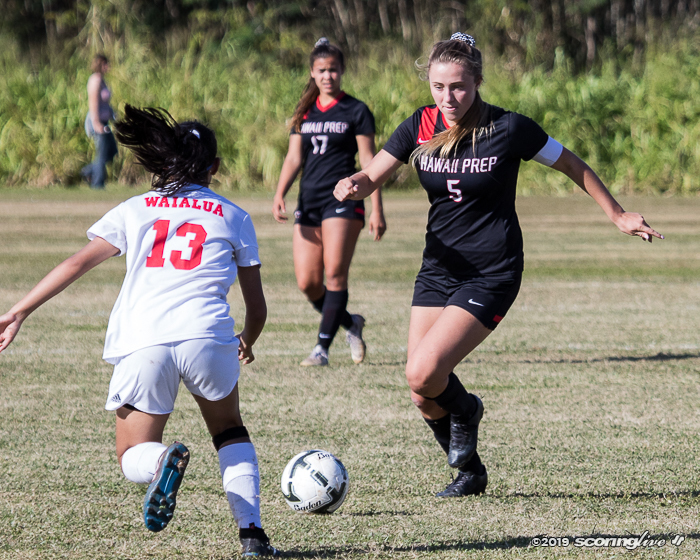 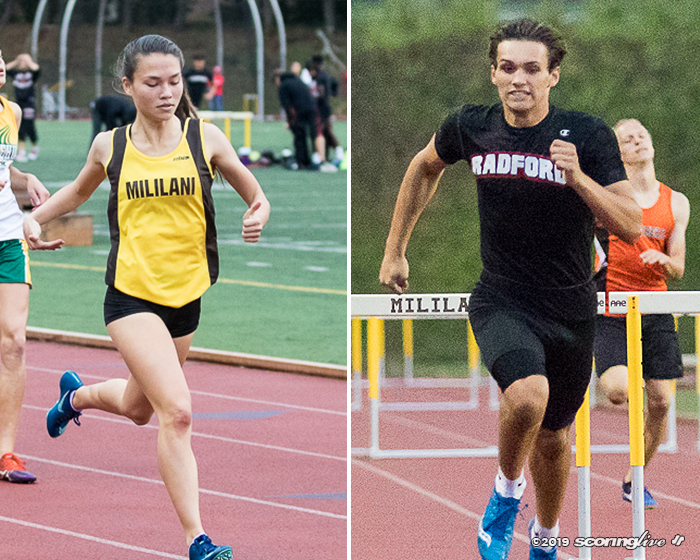 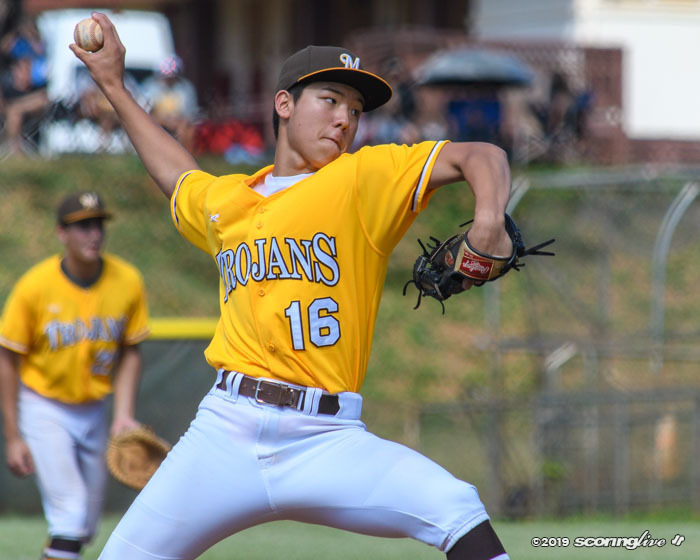 HPA moves on to face third-seeded PAC-5 on Thursday at Field #9. 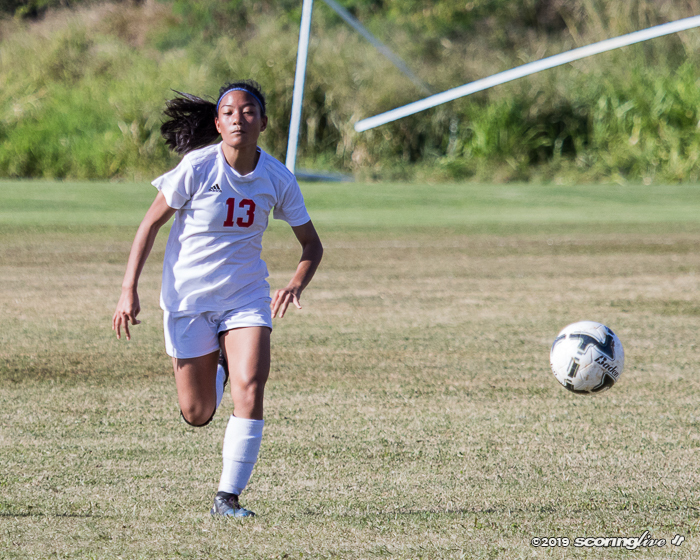 Emi Higgins opened the scoring up with one of her two goals in the 3rd minute. 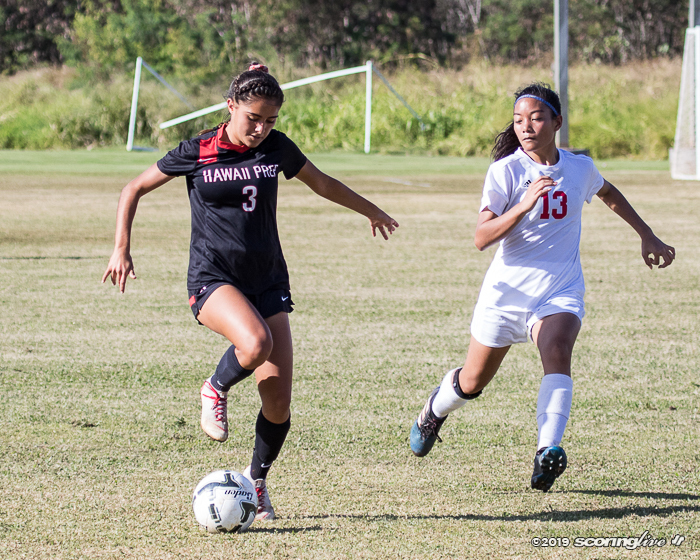 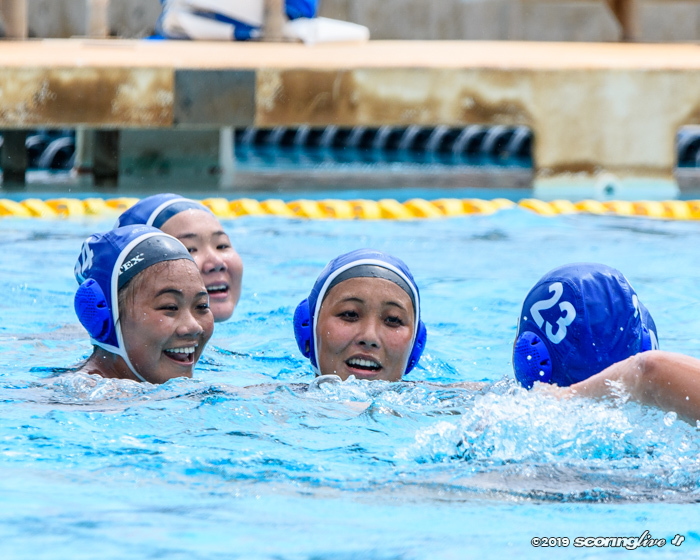 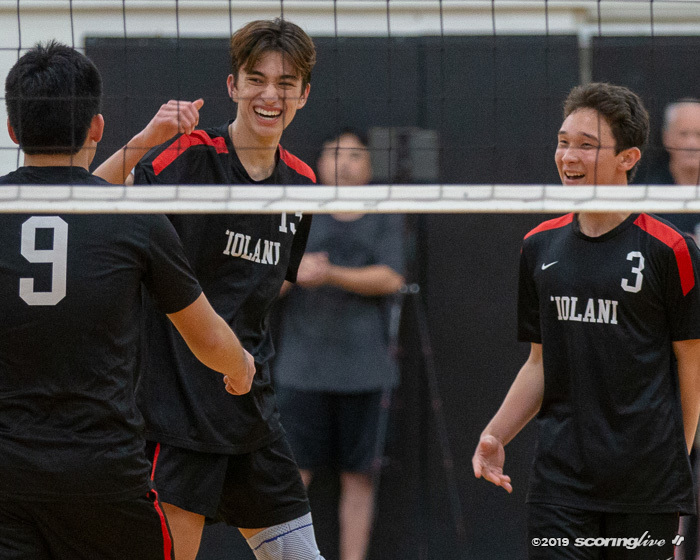 Alianna West doubled Ka Makani's lead with a goal in the 18th minute before Higgins scored again seven minutes later. 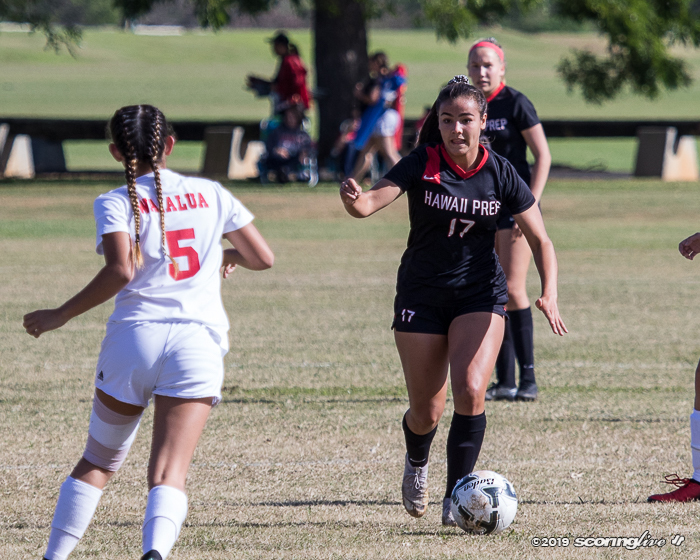 Bella Police notched a hat trick to close out the first half scoring, finding the back of the net in the 13 minutes before the break. 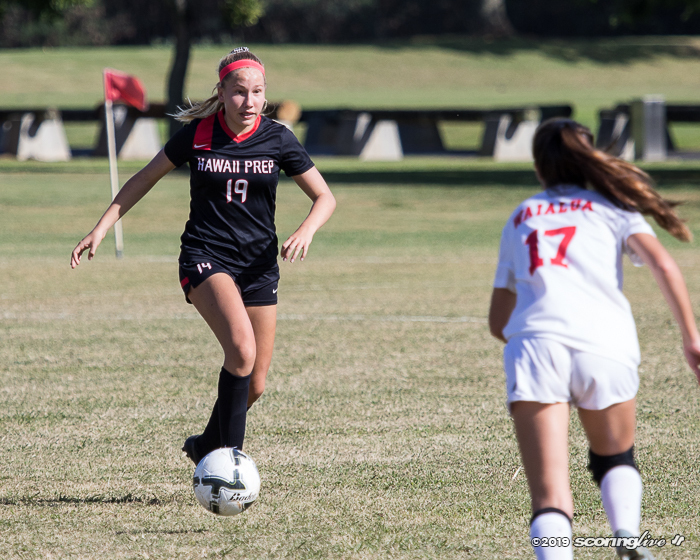 Malia Brost and Riley Sohriakoff added goals in the second half for the final point total.